Titanium Ball that is easier to pop in and out - no pliers required! For so so long we have been asked time and time again for some easy fit large gauge BCR in Titanium and now they are available! 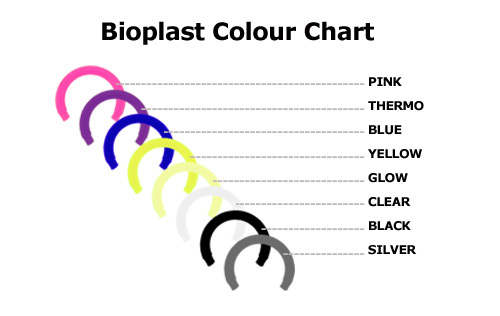 Because they are made out of Titanium they are light weight and comfortable to wear, they are also available in lots of different colours which look amazing. No pliers are needed for these rings, even the largest gauges are much easier to fit than standard large gauge captive bead rings. 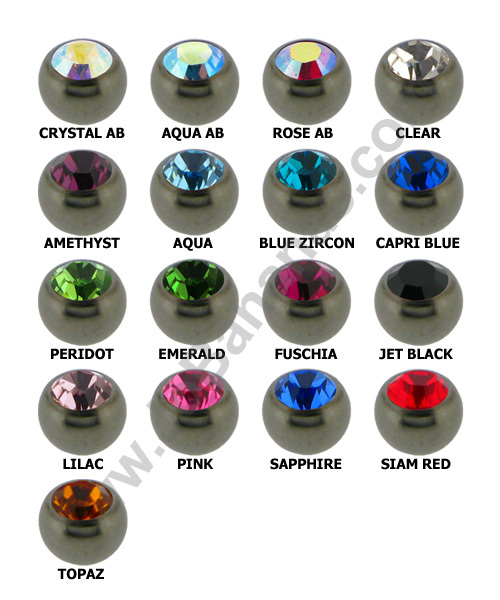 The ball pushes in and out, there is a knack to it and we recommend trying it a few times before putting into your piercings so you know what you are doing. Great product - fits perfectly! And really good customer service, too. Advantages: Ball is well secured, hasn't popped out on its own. Lightweight and much more comfortable compared to stainless. Beautiful! Ordered from the US, shipping was fast. 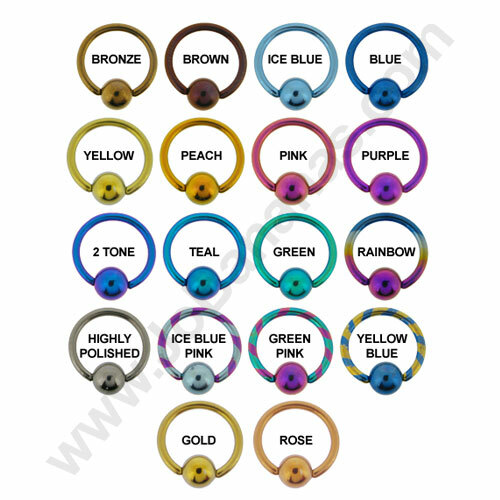 Have a hard time finding titanium jewelry in certain gauges that aren’t massively expensive. These are exactly what I was searching for.